NTP server synchronization enables your PC to directly receive accurate and secure stratum-one response. The NTP server synchronization unit includes an IP65 radio antenna and Time Sync software. When connected to your PC, the unit enables it to act as a reliable stratum 1 server. The server has an LCD display screen that displays the signal strength and time to check and verify its functionality. 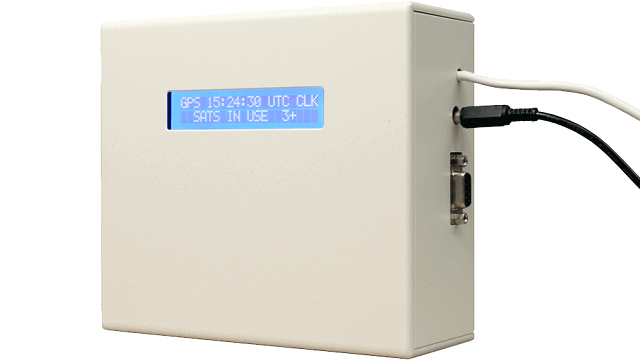 The NTP time sync client enables you to always maintain time synchronization with the received time signal, while the weatherproof antenna can be mounted up to 200m (600ft) away from the main unit to ensure strong signal strength. The server operates safely from behind the firewall providing digital security ensuring you remain safe from hackers and malicious attack. 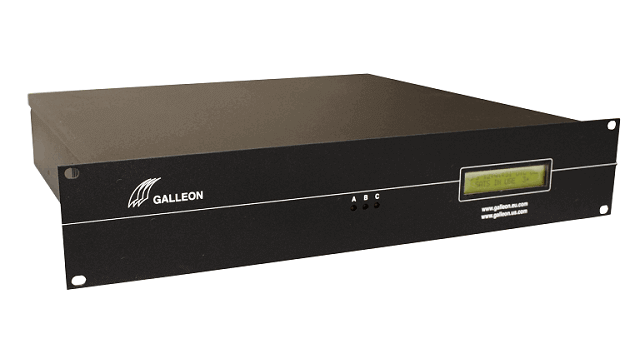 Galleon Systems has more than 20 years of experience in providing cost-effective and secure network time server solutions. Contact us now. 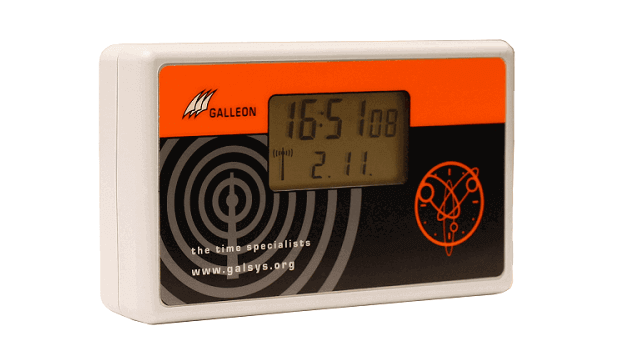 Accurate: The unit provides stratum-one response to your PC directly from the radio station, which uses atomic clocks – a highly accurate source. Secure: Operates from behind your network’s firewall. So, it doesn’t compromise your digital security, ensuring you stay safe from hackers and malicious attack. User-friendly: Can start using within a few minutes. 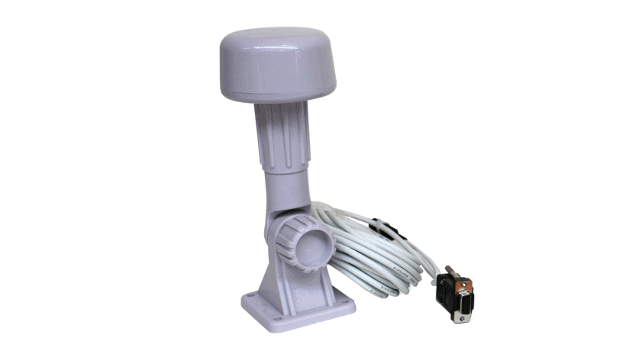 Can check status easily through LCD display screen. Easy to install and use. Reliable: Three-year warranty, FCC and CE certified, antenna sealed to IP65 standards, and technical support available via phone and email.